When it comes to using steam cleaning techniques to kill dust mites, fleas, and bed bugs, fear not! It is possible to use steam cleaning to kill these awful little critters, and you can actually do so with little problems and a very simple and effective step-by-step solution. Before you know it, you’ll be dust mite and bed bug free as you need not worry about your place or the health of your carpets, bed linens, and other surfaces around the home. First, start by using caution in your steaming procedure – if you have used cleaning chemicals on an area previous to your steam usage, understand that head and steam may break down those chemicals and significantly undermine not only their residual effect, but the quality of air in your home as you steam clean. Make sure you apply chemicals after you are done steam cleaning. From there, vacuum the areas you intend to treat before you begin a steam cleaning. Vacuuming increases the effectiveness of the steam cleaner, and allows you to have a more efficient steam cleaning solution. As you begin to steam clean your intended space (after vacuuming and reading the safety instructions inherent with the particular brand of steam cleaner you are using), make sure that you start at the top of the room with your drapes, curtains, and other areas, and work down to the bottom. The steamer can be used on most any surface, but it’s best to start from the top of the room and work your way down – as well as making a point to never steam into an electrical outlet, or near electrical appliances! When you are steaming to kill bed bugs and fleas, make sure you use a larger head on the steam cleaner. A larger head will kill more, as opposed to a smaller or more concentrated head that may just scatter the bed bugs and fleas, rather than actually killing them. As always, too, take your time with the steam cleaner. Make sure you are moving no more than about 1 inch of space per second, with the steam cleaner a mere two inches from the surface you are cleaning; this allows you to really take your time and get the most out of your steam cleaning capabilities from here on as you move forward to kill bed bugs, dust mites, and other critters. After you are done, allow your steam cleaning surfaces to dry for several hours before use, but you can rest assured at night that if you’ve done it right and well, you can adequately get the job done with a steam cleaner! It is always recommended that, when you steam clean to kill bed bugs and dust mites, you use an EPA-approved bed bug spray after you are done to ensure you finally and fully remove all bed bugs, and make sure that none of them re-appear after you are finished with your steam cleaning job. 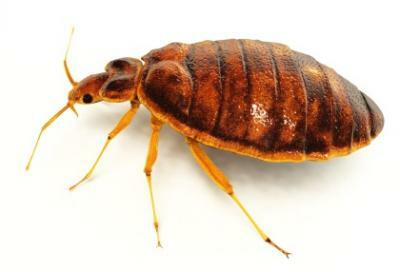 TLC Carpet Care makes certain bed bugs, fleas, and dust mites are no more. Give them a call to set up an appointment to discuss your bug problem or any issue you may have with your carpet. Getting your carpet cleaned in Naperville has never been easier with the fast and professional service from the best carpet cleaning company in Naperville. All in all, though, a steam cleaner can be used to kill bed bugs, dust mites, and fleas. Good luck getting those little critters out, but rest assured knowing you will once and for all with a good steam cleaner!